Blanca Dining Armchair in Black Tippet. Transform your patio into a comfortable haven for friends and family, with the Blanca patio dining armchair. 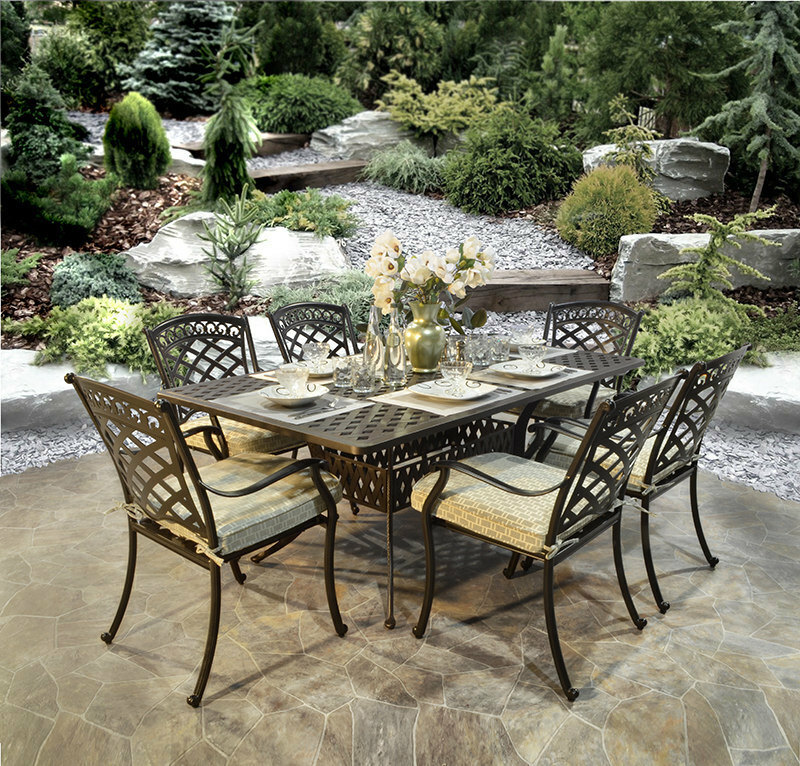 The cast aluminum frame is maintenance free and rust resistant. The black tippet finish coordinates with our black tippet tables to create the perfect patio dining set for a romantic dinner for two or for larger social gatherings.